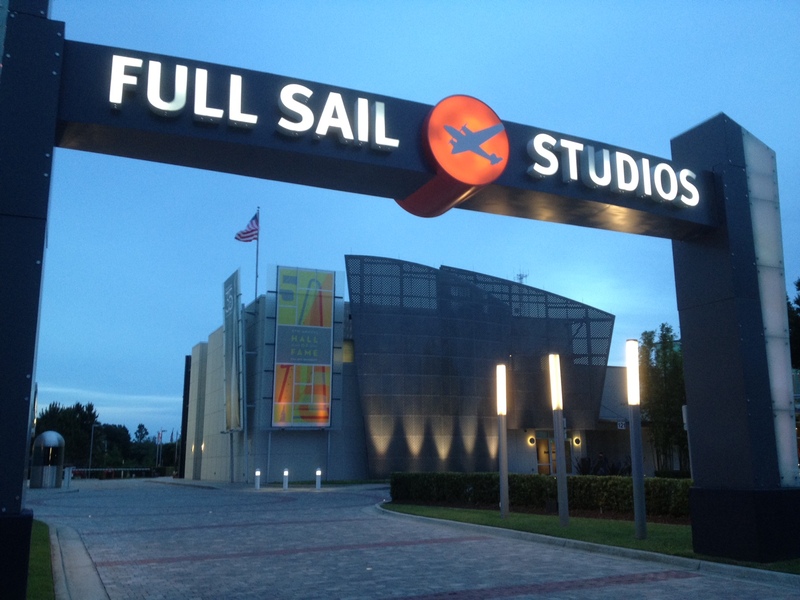 Last week I went to hear screenwriter Stephen Susco do a Q & A at Full Sail University. It wasn’t open to the public but I know some people who know some people, so I dropped in and found some worthwhile advice from a Hollywood veteran that I’ll pass on here in bullet points. Back in 2009 in the post Screenwriting Post #83 (Stephen Susco) I mentioned that Susco wrote 25 screenplays before he had one produced (The Grudge). His numbers as of 2014…he’s now written 63 scripts and had a grand total of 7 produced. Sucso wore a Notre Dame hat during his Q&A which is where he did his undergraduate work before getting his master’s at USC film school. Some of his other credits are Red, High School, and Texas Chainsaw 3D. His next film to hit theaters is The Reach starring Michael Douglas. Here are ten takeaways form the Q&A with students, followed by an interview with Susco via Movie Greeks United! * Filmmaking is a battleground of art and commerce. * To investors, films are like widgets. Watch Shark Tank to see how investors think. When talking to investors think in terms of heart, mind, and pocket book. * Screenwriters give up the copyright when they sell their script. * Writing for Tv is attractive to feature screenwriters because writers are considered important in TV. * Write what you’re passionate about (big Hollywood movie, horror, whatever) because even if it doesn’t get made, if it’s good it will open doors and people will ask, “What else do you have?” As an example Travis Beachman’s script Killing on Carnival Row got a lot of attention in Hollywood, but still hasn’t been produced. But it opened the door for writing assignments on Clash of the Titans and Pacific Rim. * After his first script sold he couldn’t believe he was getting paid to do what he’d do for free. That first script sold for $38,000–but he had a partner so his half was $19,000. After taxes, attorney and agent fees he netted $7,500. It took them 2 years to write that script. * He once spent four years on a script that ultimately wasn’t used for the movie that eventually got produced. He received an associate producer credit. It’s a business where a screenplay about your mother gets turned into a movie about Elvis and your name isn’t in the credits—or worse ,it is in the credits. * You will hear the word “no” a lot and you’ll need to forget hearing it before the syllable “o” has faded from their lips. * Pitching stories and ideas is not as common as when he first started in the mid-90s, but it’s easier than ever to make your own film. He mentioned writer/director Oren Peli and his film Paranormal Activity as an example. * Think primal. Fear and personal loss are the foundations of many fine films. This concludes a week of posts of the Orson Welles Q&A at USC after they screened his film The Trial. It’s interesting to note that in the Q&A he mentioned that he never watched his film after he made them because they are so much better in his mind. It’s also worth noting that in the last few years before Welles dies in 1985, filmmaker Henry Jaglom recorded conversations with him at the original Ma Masion restaurant where Welles held court in his later years.Those conversation were edited by Peter Biskin (Easy Riders, Raging Bulls) and recently published in the book My Lunches with Orson Welles. I have not read the book yet but from what I’ve read it does offer some new—and unplugged—revelations into a man who at just 24-years-old directed one of the masterpieces of cinema—Citizen Kane. An average young person today is more likely to know Welles from his drunken outtakes from those Paul Mason commercials. The kind of video that ends up on Funny or Die and I’ve actually seen a video of the outtakes below re-shot with actors today as either a spoof or a class project. By this time in his life the well had run dry for Welles. In a sense he had become like what became of many legends in their later years (Elvis, Hemingway, Tennessee Williams) a shadow of his former greatness. But like Elvis, Hemingway, and Williams the sun is shinning once again. The good, the bad, and the ugly has turned the man who once stood on the mountaintop to become his own mountain. Welles like a select few people in Hollywood—a place he called “a snake pit”— has become through appointments and mythology reached the status of legend and icon. In the spirit of who “Who was Charlie Kane?” and “Who was Rosebud?” — Who was Orson Welles? Biskin and Jaglom I imagine have added another chapter to the growing story of the man now sometimes called Citizen Welles. And to end this full circle, I found a quote online from Jaglom’s talks with Welles that touched on politics. And instead of ending with the a scene from The Lady from Shanghai or a clip of one of Welles’ films I thought you might enjoy this clip of Welles talking about Ernest Hemingway. P.S. If you happen to be in the Orlando area, the Enzian Theater will have a Saturday matinée of Citizen Kane tomorrow (1/11/14) at noon. There is an entire You Tube Channel dedicated to Citizen Welles which includes the 90 min doc—The Complete Charlie Kane. The Drama Between Minnesota Vs. L.A.
Last night I watched the Monday Night Football game which happened to be the first outdoor Vikings game in Minnesota in 29 years. It proved to be a historic game in that the Chicago Bears broke the record for special teams touchdowns in a season. It was also a night when the Minnesota Viking’s honored the 50 Greatest Vikings. One of the player’s honored was Ron Yary. When I was in film school, and a few years after graduating, I work as a photographer for Yary Photography. A company that Ron and his brother Wayne owned in Southern California. Ron was an Outland Trophy winner in 1967 when he helped lead USC to a national championship. 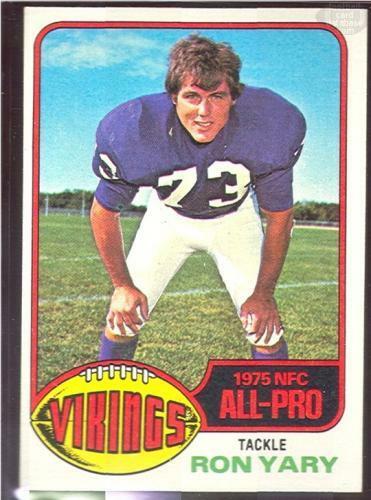 In 1968, he became the first lineman to ever be the overall NFL #1 pick in when the Vikings drafted him. He played in four Super Bowls and was inducted into the Pro Football Hall of Fame in 2001. Quite a career. Ron lives in Southern California and in 1986 “was the guiding force” in starting the Southern California Viking Club which is said to be the largest Viking fan club outside the state of Minnesota. Of course, all of this fuels L.A. football fans because despite Los Angeles being the second largest media market they currently do not have an NFL team. What lead the game being played outside last night was a damaged roof on the aging indoor stadium where they usually play. The Vikings would like a new stadium to stay in Minnesota. Of course, many in L.A. would love to have the Vikings move to Southern California. Various reports (rumors) have the Vikings’ front office in talks with businessmen in LA. An article on Forbes.com has a Minnesota Senator promising a stadium tax bill in January 2011 that will help keep the Vikings in Minnesota. Either way, look for some Minnesota Vs. LA drama in the future. (For the record, L.A. has already lured screenwriters such as Diablo Cody, the Coen Brothers, Nick Schenk from Minnesota.) I don’t know, the Venice Vikings just doesn’t have the right ring. Congrats to Ron Yary for yet one more honor to add to his career. 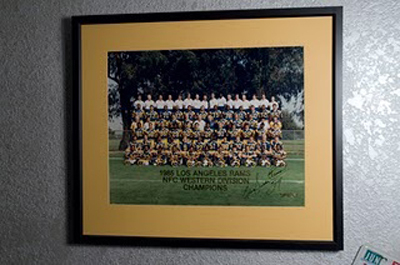 That ’85 Ram team won their division, but eventually lost to the Chicago Bears in the playoffs. The Bears lead by Walter Payton. Jim McManhon, and Mike Singletary would go on to win the Super Bowl that year. And just to come full circle with a screenwriting connection—before Chicago-raised screenwriter Diablo Cody wrote Juno she thought about writing about the ’85 Bears team as her first screenplay. He had a couple TV movie credits and wrote the feature Fly Away Home before earning an Oscar nomination for his Saving Private Ryan script. The film won a total of five Academy Awards including Steven Spielberg’s second best director Oscar. In a New York Daily News article Denis Hamil writes that Rodat’s research for historical projects includes reading in the range of 30 books as well as journals and letters on the subject at hand. Didn’t Victor Hugo “find one small story within the larger picture”” when he wrote Les Miserables? Didn’t Tolstoy do the same in War & Peace ? Margaret Mitchell in Gone with the Wind? Michael Blake with Dances with Wolves? Keep that in mind if you are tackling a story of epic proportions. Think big and think small. Though some of my info is dated, I believe Rodat lives in Massachusetts and is the screenwriter attached to the World of Warcraft movie that will be directed by Sam Raimi. PS. Where was Private Ryan (Matt Damon’s character) from? Iowa. (Though an early version of the script has the Ryan farm in Mansfield, Ohio.) Here’s an example from Rodat’s script where you can see how he unpacks a sense of place. Quite a contrast from the chaotic Omaha Beach battle scenes toward the start of the film.